40 acre estate with gorgeous Redding home! 40 acre estate with an extraordinary home! Soaring ceiling with bright dormers overlook the Great Room and Open Kitchen. Exquisite slab granite kitchen and hearth complimented with slate flooring. Suffused throughout with natural light from the 2 story window wall facing north. Huge loft offers endless possibilities. Expansive country porches surround the house. Large enough to host parties or perhaps special events like weddings. Whole house fan. Backup generator power. Fenced vineyard. Former Lavender farm still has peace labyrinth visible. 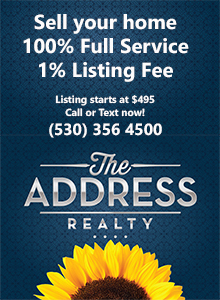 Minutes from Bridge Bay on Lake Shasta or Tierra Oaks Golf. Possible lot split(s) available, check with county. .
Or get on your horse or quad and ride your 40 acre dream estate! This entry was posted in New Listing and tagged 40 acres, Bridge Bay, Estate, Lake Shasta, Redding, Shasta on March 20, 2017 by Skip@RHB.